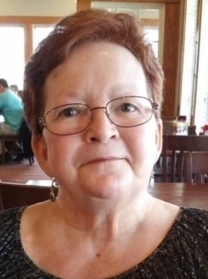 Obituary for Donna Hoetzlein Tipton | Leonard M. Pavlic Funeral Homes, Inc.
Donna L. Hoetzlein Tipton 72 of Washington, died Tuesday March 19, 2019 at Southmont of Presbyterian Seniorcare, Washington. Born in Brentwood on May 30, 1946, a daughter of Gerard and Madeline Feiereisen Hoetzlein. She was Catholic by faith. Donna was a former food and beverage manager of the Holiday Inn Meadowlands and had also worked as a LPN. Her true passion in life besides her family was cooking, whether it be for 1 or 100. Donna was also an avid animal lover. She is survived by 2 daughters and a son-in-law; Heather and Eric Weis of Coal Center and Darla Hall of Washington, 2 sons; Travis Hardester of Coal Center and Jim McConeghy of Ellsworth, 3 grandchildren Natalie Collin, Chris Harps and Brendan Harps and several nieces and nephews. Donna was preceded in death by her husband David Tipton on December 14, 2006 and a sister Carol Lee. Donna's family will receive friends on Saturday March 23, 2019 from 9:00am-10:00am in the Leonard M. Pavlic Funeral Homes, Inc. 405 Main St., Bentleyville where a Memorial Service will begin at 10:00am with the Reverend Donald Chortos, Senior Parochial Vicar of St. Katherine Drexel Parish presiding. Interment will be private.